So, what is Sublimation printing? What we’re all about is sublimation printing, and here Sarah explains what it entails. Sublimation printing accounts for around 6% of textile printing in the world. It is mainly applied to Polyester fabrics and uses disperse inks. These inks have the ability to move from a solid to a gas directly. The inks are printed on lightweight paper which acts as a carrier. 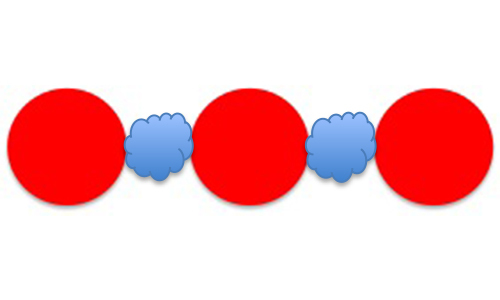 Polyester fibres are chains of molecules. Imagine that a single fibre is a made up of lots of strands of beads. At everyday ambient temperatures the beads are very tightly packed together yet pliable. Polyester softens as it is heated and imagine that the tight strands of beads begin to move apart at temperatures between 175 – 220 C.
The Disperse inks, printed on the sublimation paper, at these temperatures move from a solid to a gas. They will happily move into the spaces in the open molecular chain. Colour is trapped inside when the fibres cool down. The fabric and paper are put in a machine at temperatures around 205C for 25 seconds. When the paper is peeled back from the fabric, exiting the machine, the design has been transferred onto the fabric. The print moves from the paper to the fabric without water but by the regulated application of heat and dwell time. 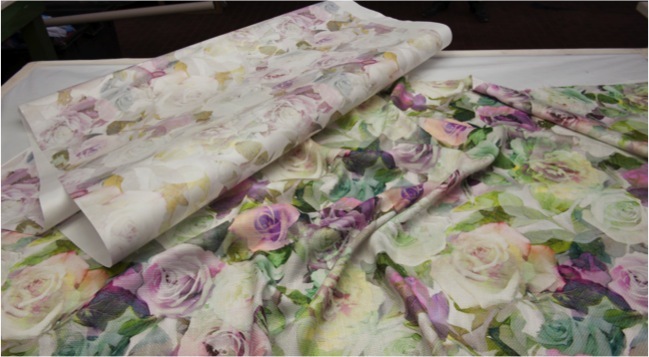 Agents for Sublimation transfer paper from Sublitex Miroglio Textile. To learn more about sublimation printing visit Sublitex.com and watch the films which are very informative for both digital and rotagravure printing.